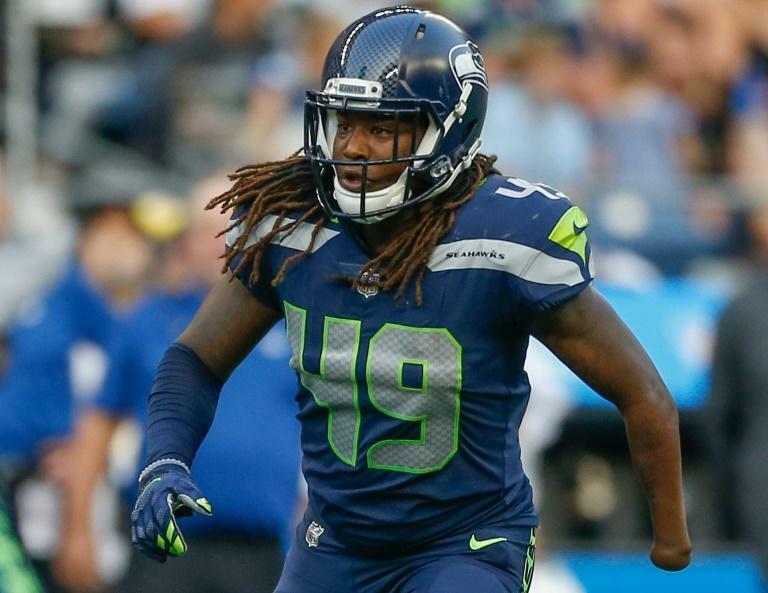 Shaquem Griffin is poised to write another chapter in his remarkable journey to the National Football League after the one-handed linebacker was confirmed as a starter for the Seattle Seahawks' season-opening game against Denver. Seahawks coach Pete Carroll confirmed that Griffin, who had his hand amputated as a four-year-old because of a rare birth defect, would be given his debut in Colorado after impressing in pre-season. The rookie linebacker, who was drafted 141st overall by the Seahawks, will be playing alongside twin brother Shaquill, who was drafted by the Seahawks in 2017. Carroll said Shaquem had impressed in pre-season, where he notched 24 tackles after overcoming "tightness" to settle into his first taste of the NFL. "He was over-tight, he was trying too hard, he wanted it too much. It was so obvious that it made sense, and he really just turned the corner," Carroll said. The presence of the 23-year-old's twin brother in the Seahawks had proved invaluable, the Seattle coach added. "They ground off of each other, they fit off of each other so well, and they own up to each other really well," he said. "Shaquill will just tell him flat-out what he needs to tell him. They don't mince any words at all. I think with that, he has as much support as he's going to need. I think he'll be able to handle it." Confirmation of Griffin's starting role this weekend came as the linebacker appeared Wednesday alongside Serena Williams and LeBron James in a new Nike television advertisement fronted by former San Francisco 49ers quarterback Colin Kaepernick which highlighted the Seattle player's improbable rise. Griffin made headlines earlier this year after entering the NFL draft following an impressive performance at the league's scouting combine. "I don't want to be a guy who's just a feel-good story," Griffin told the US media at the draft. "I want to be a football player, and a good one at that." He arrives in the NFL after an outstanding career at the University of Central Florida, where he appeared in 39 games with 26 starts, amassing 175 tackles, 18.5 sacks, two interceptions and 11 passes defended. His play earned him a first team all-conference selection twice, and in 2016 he was the Defensive Player of the Year in the American Athletic Conference. The 6-foot (1.8m), 227 pound (102.97 kg) player impressed at the scouting combine, clocking a blazing 4.38 sec in the 40-yard dash -- first among all linebackers present. Using a prosthetic on his left arm he posted 20 repetitions on the bench-press as NFL hopefuls were put through their paces by team representatives in March.